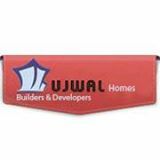 To begin with let us introduce you and give you a brief insight into Ujwal Homes Philosophy, Work ethics, Techniques & Value systems. We are Pune's respected real estate developers and have started our development from last 15 yrs. The main objective and aim of starting Ujwal Homes was to provide quality homes, with well equipped & developed infrastructure, Secondly to be true on the expectations of the customers, in satisfying their dream homes, where people can enjoy their leisure in their own matter. We have completed many smart, gracefull projects with keeping in mind the aesthetic as well as functional aspects. Ujwal Homes always provide many projects with good quality of construction which is being carried out with the help of our specialized teams. In our success Architects, Engineers, Contractors have their contribution. Because of our hardwork, we have earned Goodwill, Trust & Reputation in Construction & Development field. The Promoters rich experience has obviously proved as a key factor in company’s success.